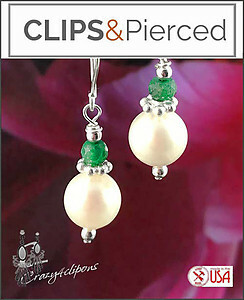 Features: Following 2013 hints from Pantone, here is a gorgeous pair of pearl clip earrings. 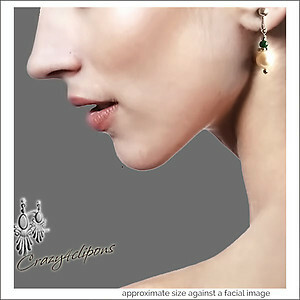 Every woman knows that nothing can touch the pearl earring when it comes to channeling sophisticated style. We updated the timeless design by adding a touch of green (emerald rondelles) for a dose of modern glamour! This understated classic earring is now a go-to for adding a touch of sparkle to any ensemble.